We had a huge number of registrations but sadly there were very few contributions in the Open Event Organizer Server project. Most of the participants were more interested and enthusiastic in contributing to android app development and our project got a little less attention. Nonetheless, I and Niranjan continued our own contributions and reviewed occassional pull requests we received. It was almost end of November and though CodeHeat was going great I wasn't very happy as a mentor since our project didn't get much contributors. Then in the beginning of December few of my friends from college asked me about codeheat and said they were interested in Python. I was delighted and introduced them to Open Event Organizer Server project. Soon there were participants from other colleges as well. We started getting more and more contributions. Then there were 2 participants - Shubham Padia and Medozonuo who were not only contributing but were almost competing with each other. The result of their competition was we got huge number of awesome code contributions from both of them in all areas from frontend to backend to even database improvements. From implementing the entire discount and access code system to providing more options and making it more customizable for CFS to solving tons of frontend bugs and export functionality, I and Niranjan almost started having a hard time reviewing their PRs since there were tons of them. I was delighted. The project was nearing release more and more and it was reaching a stage where we can actually make an attempt to use it in production. I and Niranjan often discussed how we hoped these 2 make to the top ten in CodeHeat. It was almost like reliving GSoC from a mentor's perspective. Finally it was result time. Though it would be wrong to say I was nervous but I surely was excited to know whether any of the contributors of open event organizer server project made it to the top ten. To my utter happiness not only did they make to top ten but Shubham Padia and Medozonuo made it to the top 3. I was really happy for them since they truly deserved it. I guess Niranjan would agree with me in saying that we truly loved mentoring them. It wasn't like they knew each and everything but they picked up stuff pretty quickly and showed their contribution in all aspects of the code. Also, we were later able to get their help in reviewing other's code which was really helpful for me and Niranjan. It was a really wonderful experience, mentoring in CodeHeat, reviewing PRs day and night, sharing knowledge with others. I simply loved the experience. The icing on the cake was 2 of the top 3 were contributors to open event organizer project. A lot many mentoring experiences are on the queue and I am really looking forward to them. 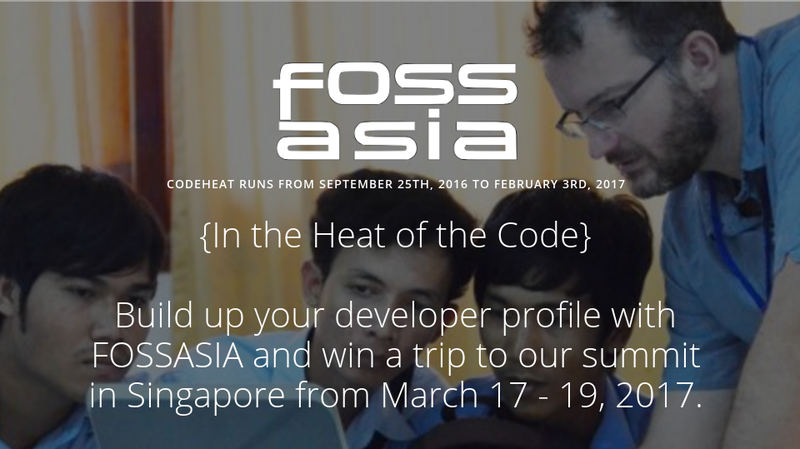 Nice Blog and Post, would surely try to contribute to Code Heat and the Server Project as soon I can.